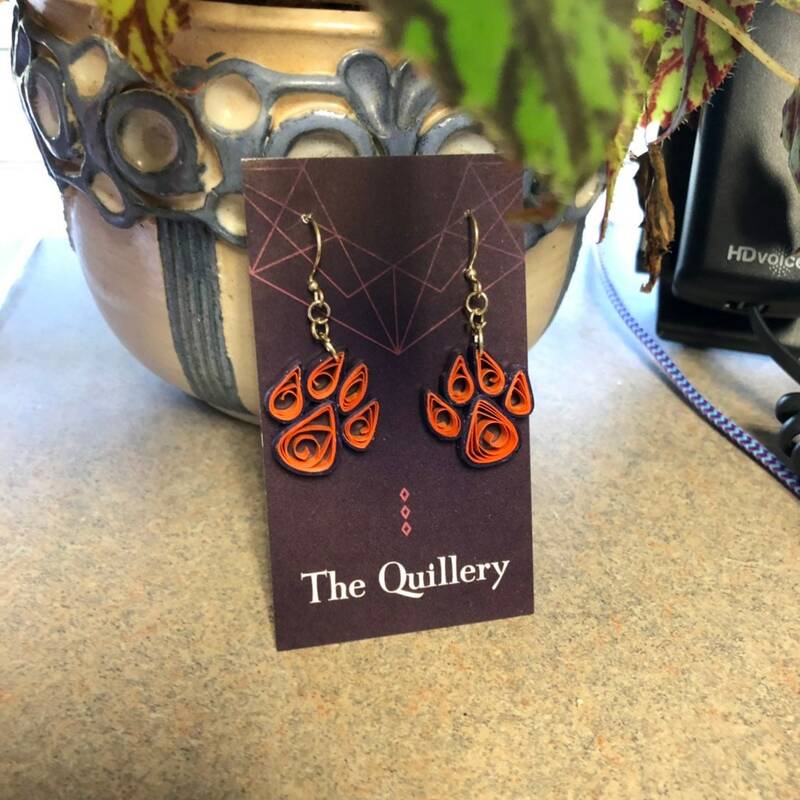 These are one of a kind quilled art paper earrings in a tiger paw design. They are 1 inch wide and long with a total length of about 2 inches. See quarter in pics for reference. The earwires are fishhook style. 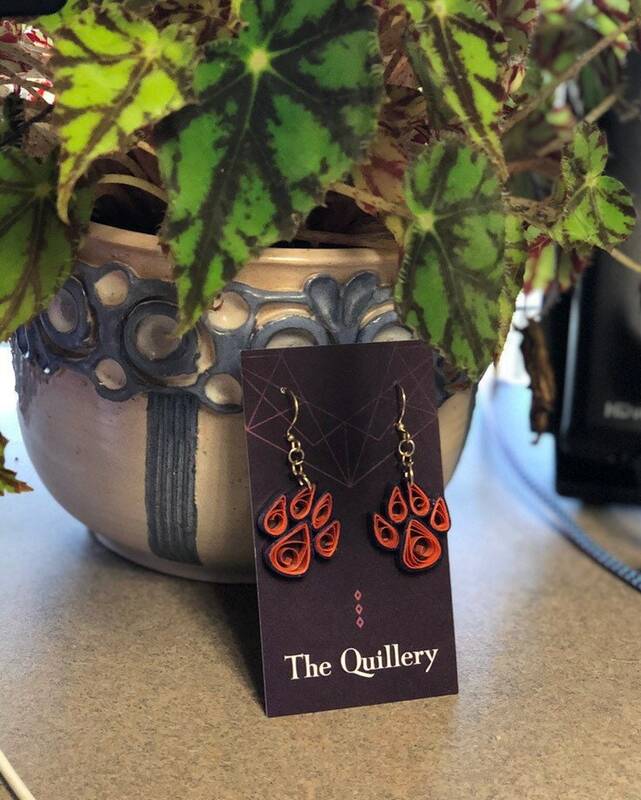 The earrings are made of 1/8" wide paper in orange and purple metallic papers.I have also sealed these earrings with a clear sealer to enhance the durability. These are perfect for yourself or as a gift! 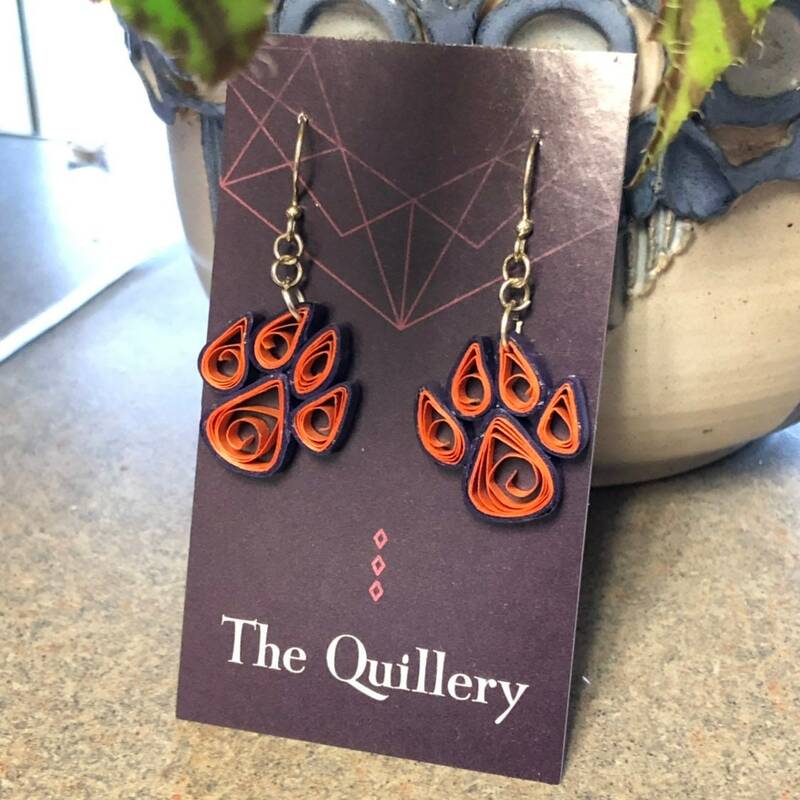 Super durable and lightweight quilled paper Clemson Tiger paw earrings! I wore a pair of these tailgating last weekend and they are super durable and perfect for game day or any day you want to support your tigers! Since these are made of paper I would not get them wet.